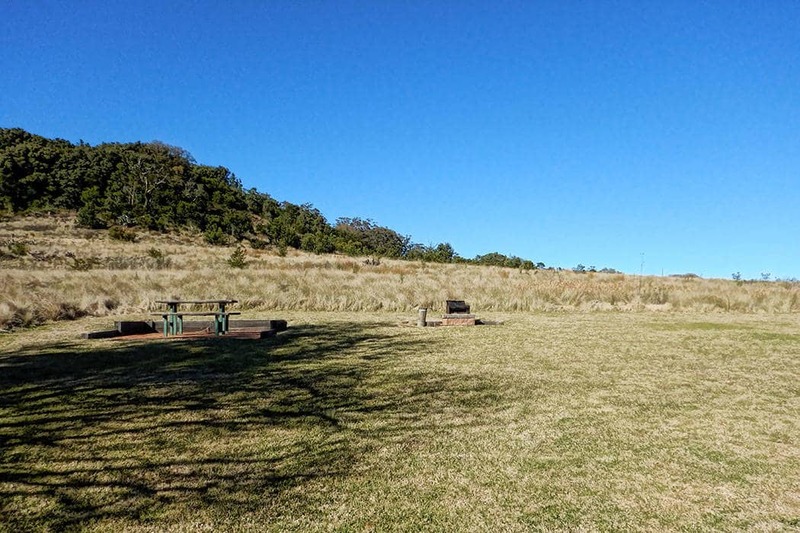 The Bunya Mountains is a gorgeous spot in inland South East Queensland. It’s a perfect escape for a long weekend of hiking, sunsets and the most intense starry night sky. I love it because it’s remote but that also means there aren’t shops and restaurants to pop out to when you haven’t got dinner sorted so it does require a bit of planning in the kitchen before you go. 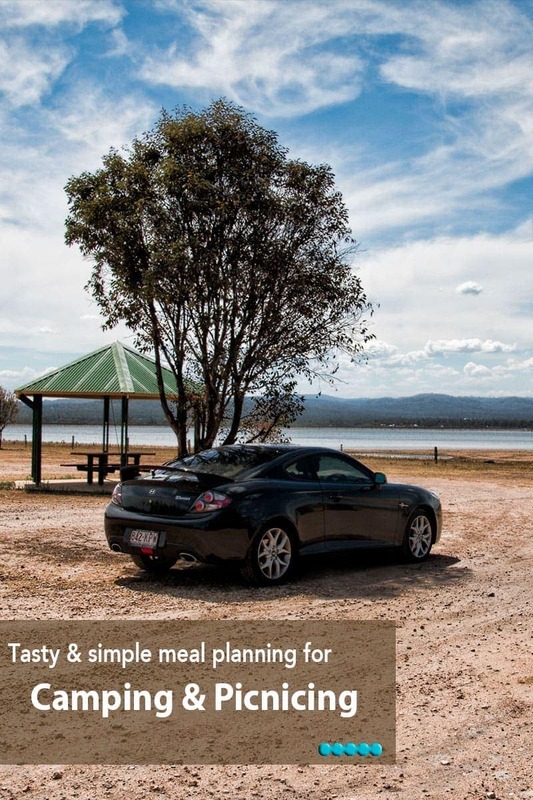 I used to find organising and packing a picnic, meals for trips like this a bit of a challenge but I’ve picked up a few tips and learned a few lessons along the way that have helped to streamline it. If we’re away for several days I always plan my menu out meal by meal, write the ingredients onto a checklist and then tick it off as I package and stow it. I use the free Wunderlist App to store my checklist on the iPhone, it makes it easy to share lists between devices and it’s always with me if I need to pick up a few bits while I’m out. Although it’s a bit of planning I do find it useful to work out the actual quantities I need and pack it in meal lots already made up or measured out. There’s no point trying to fit way more than you need in the esky and it’s pretty frustrating if you find a key part of your menu is missing once you’re in the process of making it and don’t have a shop handy. Something that really helped out preparing for this trip was a parcel from Sam the week before we left with a selection of their range of Sinchies durable reusable plastic pouches. I was blown away at how easy this made packing up some of the trickier food items so I thought I’d share a few of my winter camping meal and snack ideas. The BBQ is where it’s at for dinner when we’re away, and a lot of the time at home too but there’s no reason to serve up sausages and salad night after night. I use a cryovac system to store the meat with all air removed. Together with the esky and lots of ice bricks this keeps the meat in optimal condition for roughly twice as long as it would last otherwise. Then to turn grilled meat into a meal I make and pack a variety of sauces and marinades into the Sinchies. A Japanese style sesame sauce goes well with most meats and cooked vegetables so I make a good supply of that and a sweet chilli marinade is another option that adds some spice and variety to lamb, chicken and beef, I’ve even brushed it onto a piece of salmon while it grills. Another pouch holds some home made mango chutney for with meat or I’ll use it to dress up the wine-o’clock cheese and crackers. This trip we made yakatori skewers and served them with sesame dipping sauce, lamb cutlets in a sweet chilli and garlic marinade, steak with a pink peppercorn sauce and crispy skin salmon. Getting in touch with nature doesn’t mean doing without delicious wholesome food! Soup is high on my list, I pack it together with a batch of home made bread rolls and we eat it for lunch most days on cool weather trips. Warming up after the mornings hike with a bowl of steaming soup while watching the pademalons playing and resting around the picnic area is hard to beat. Soup is easy to make in large quantities and you can make it as simple or complex as you like. We love pumpkin soup and I picked up a beautiful Jap pumpkin at the market the weekend before we went so that made for several simple meals. Whether you’ve staying somewhere with kitchen facilities or using a gas burner outside the tent, soup is really quick and easy to heat up. The Sinchies bags are freezer safe so I used the 1kg ones, made the soup ahead, froze it and it doubled as great ice bricks in the esky keeping everything perfectly cold until we were able to unpack it into the fridge later that afternoon. It also makes stacking so much easier. If you’re already a convert you’ll known how versatile this breakfast / snack / lunch can be. 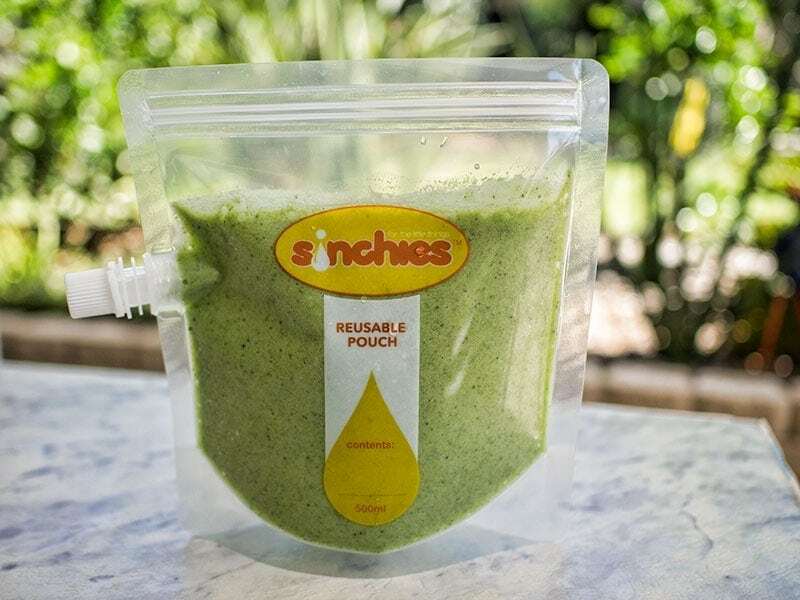 If you’re heading out for an early hike and want your breakfast on location once your digestive system has woken up then dump it in your Sinchie pouch and pour and drink it when you’re ready. Because you fill and seal the bag you’ll find you still have a nice brightly coloured shake with minimal oxidation many hours later or even the next day. A lot of the benefit is in the freshness of the vegetables and fruit so I don’t make it more than a day ahead. And if you’re not a ‘spinach in your shake’ convert I might pop back later with a post on the wonders of the humble smoothie. Incidentally the pouches are also perfect for my second favourite breakfast of yoghurt with some fresh fruit thrown on top. So you’re on your road trip and you need caffeine. 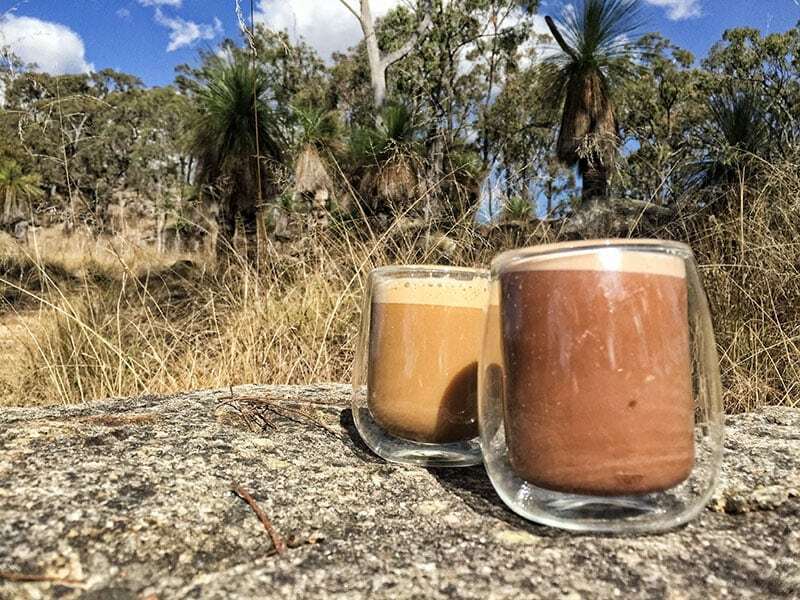 While there are some great local coffee shops in country Queensland, if you’re going a bit more remote you might not have that option. I do still need my mid morning cuppa though. A great view can make up for a lot in the quality of the brew so we normally resort to instant or sachets although a small plunger has been known the make it into the picnic bag. I didn’t need to pack milk for anything other than coffee so the small Sinchies were the perfect amount for a dash of milk in the cuppa. With the funnel they’re super easy to fill and the spout gives you control for pouring just the right amount. Pair it up with the ultimate road trip gingernut biscuits and you have a morning tea to please the crowd in the most beautiful natural settings. Whether you call it an esky, chilly-bin or ice box if you use it right you can get significantly better performance out of it. 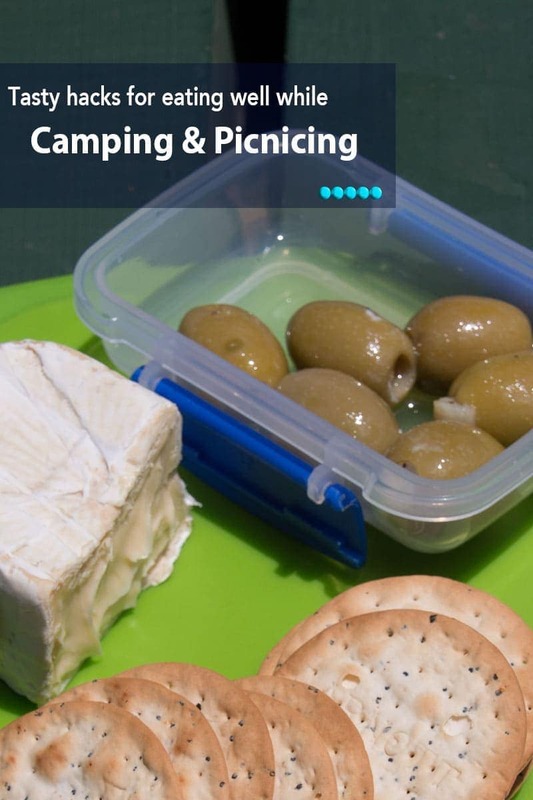 If you follow these tips it should make a dramatic difference to how long you can cold store perishables while on the move, out for a picnic and camping. Before loading store the esky in the coolest place possible. I keep a few large soft drink or juice bottles and freeze water in them. In the heat of summer these can be used to pre-chill the esky before loading it. These can also be used inside the esky if you have room, larger blocks of ice thaw much more slowly than small ice-cubes. Make sure everything you’re taking is pre-chilled or frozen. Once you start packing the esky work quickly moving foods directly from the fridge and freezer. Always seal packages containing meat really well and pack them at the bottom. This prevents the risk of meat juices dribbling onto other food and keeps them the coldest. Now layer up with frozen food towards the bottom and the food needing the least refrigeration like fresh fruit and vegetables at the top. Fill it up. The less air gaps there are the colder it will stay. We have a couple different sized esky’s for different uses or you can throw in a few extra ice bricks to fill in any gaps. The commercial ice bricks will stay cold longer but if you’re taking water or other drinks consider freezing them too. Not only will your drinks be refreshingly chilled but they help keep everything else cold too. Any frozen food you’re taking will also work as additional cooling. Some people prefer to use loose ice, it works really well and even when it’s started to melt the cold water is effective in keeping the temperature down but I hate the mess and even with sealed food I’m concerned about spoilage and cross contamination so I only ever use it for drinks. Once you’re packed close it up and avoid opening and closing the esky too often. To minimise going in and out of it we normally take drinks and anything we want on the road in a separate smaller coolie bag. Keep the esky out of direct sunlight. In the car pack the esky in the boot and try to park the vehicle in the shade if it’s going to be left with the cooler in it for any length of time. At the campsite move it around with the shade and placing a car blanket over the top will help with insulation too. Food hygiene is really important and travelling with reusable containers means you need to be able to clean them thoroughly. I knew I’d put my Sinchies to the test with some food choices that would be a challenge to clean up. The banana in the smoothies sticks like super glue which accounts for why I feel so full all morning after drinking one and the soup can be a bit of a challenge to clean up too. There are a number of ways to wash your Sinchies, they’re dishwasher safe so it’s an option to open them up over the prongs in the dishwasher and they should get a good clean. I did this with a couple this morning and they are perfectly clean. On the other hand when you’re on holiday that’s usually not going to work. It’s not an essential but I like to have the brush if you’re using them regularly. It makes getting into the corners and giving the spout a really thorough clean much easier and I can be confident no nasties have been left behind. What are your quick and easy camping meals and tricks. I’d love to hear how you make a trip away tasty and healthy too so please share your thoughts in the comments section below. 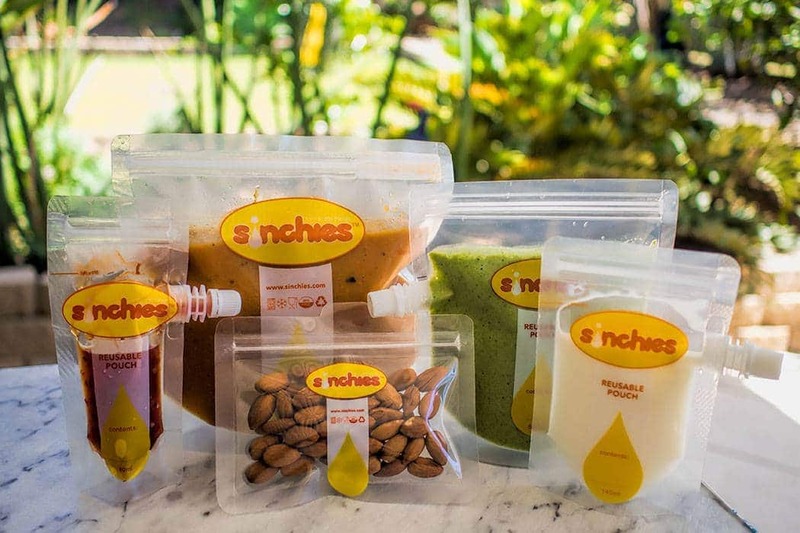 Disclosure: The Sinchies products were sent to me by Sam to use and review. As always I only write about products I have used and all opinions are my own. Previous articleHakone Freepass | Is it good value? Thanks Toni. 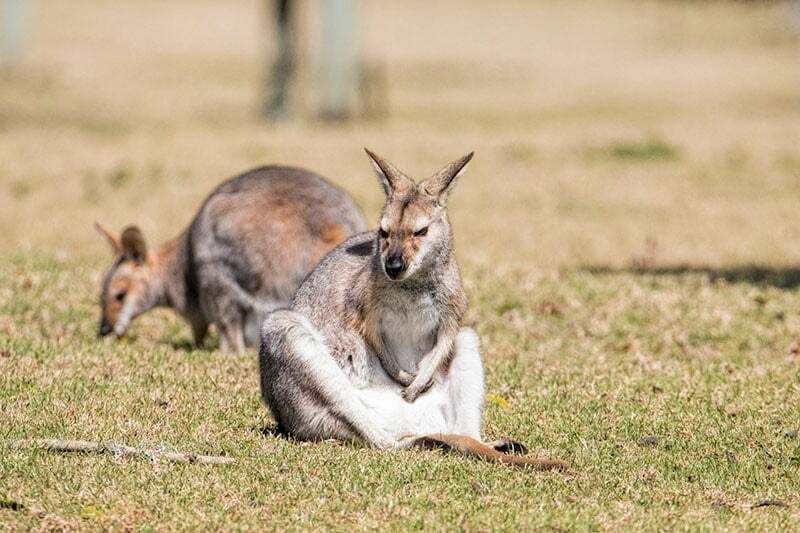 These tips will come in super handy for our big trip around Australia next year. Gotta get me some of those pouches too! Thanks Jen. I read about your big lap around Australia, so exciting! Ours is still a couple of years away and we’ll probably do it with a caravan so I’m going to love seeing everywhere you go.